Home / Creativity / What is an Artist Date? I have read Julia Cameron’s book “The Artist’s Way several times and it reminds me of things I need to make a point of doing more. One thing I have been missing out on is an Artist Date. This is one task that is very important as it helps to fill your well, your well of creativity. 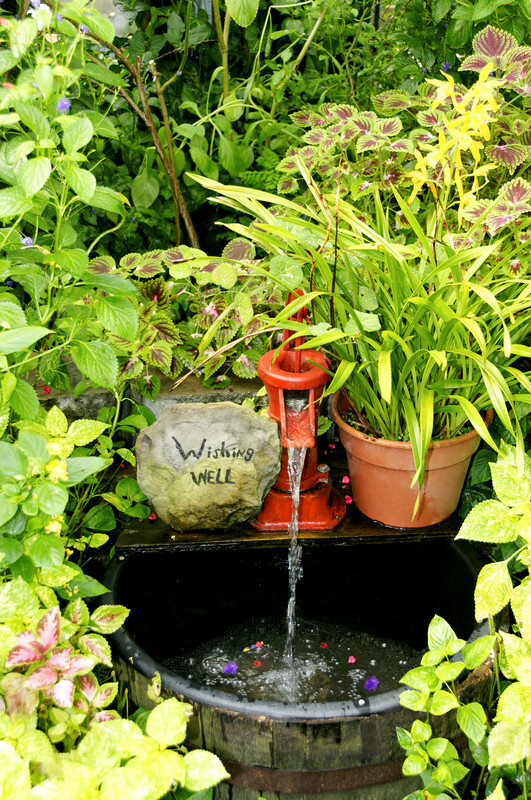 The well is your pool of creativity, your dreams, ideas, inspirations, images and so forth. As your creative juices flow with tasks, projects, ideas you deep into that well or pool and start emptying it out. One must refill this pool otherwise you will empty it out totally. I feel that I have been emptying it out allot lately.I have been drawing on it more than putting anything back in by committing myself to this Blog Challenge- 30 blogs in 30 days. I also find myself working on empty when my day job ramps up and gets busy beyond belief. I also feel pulled to come home and work on Ritual Waters – my real creative passion. So here I am in front on the computer and wondering what to write as I feel I am on empty and the bottom of the well is feeling a bit crusty and damp instead of overflowing with cool water. Now these Artist Dates can also be as simple as walking your dog. Looking up at the beautiful blue sky and being quiet with your thoughts. Sitting down with a new novel. Taking out time to count your breaths and feel yourself grounded. As they say~ whatever floats your boat. But make sure it takes you out of yourself and fills you up. Do something that energizes your spirit! Where would you go on your artist date? Great reminder and I love that book. Me too – morning pages I am having a hard time getting back into lately. I badly need an artist date myself..
Chris try to plan an appointment this week for yourself. I am sure you can find that time in your schedule for you!